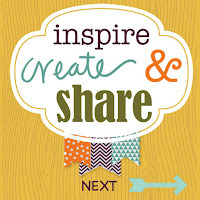 Hello and welcome to another Inspire, Create, & Share Blog Hop. If you've been hopping along, you should have landed here from Joni's blog! This month's hop is all about butterflies. Stampin' Up! has sooo many awesome stamp sets with butterflies that it was really hard to chose which set to use. I ended up going with the Kinda Ecclectic set that although current, is not a new one. I haven't used it much and I thought it was about time I did! I used a standard A2 card base in Bermuda Bay. My top layer is Whisper White. I stamped the sun in the upper left corner in Hello Honey and then sponged a little So Saffron ink around the sun and some Soft Sky ink in the other parts of the sky. I sponged some Mossy Meadow on the bottom and then stamped the leaves in Mossy Meadow Ink around the perimeter of the bottom. I used my aqua brush to splatter just a bit of the Hello Honey ink onto the background. It is a very subtle splatter but really adds some interest. I stamped my butterflies on some scraps of Whisper White cardstock in Bermuda Bay and punched them out with my Elegant Butterfly and Bitty Butterfly punches. I added a couple of Rhinestone Basic Jewels to the butterfly bodies and adhered them to my card with glue dots. On the top two butterflies I also added a little of the brand new Metallic Gold Thread under the bodies of the butterflies. I absolutely LOVE this new Metallic Thread! If you haven't tried, why not?? It is awesome! 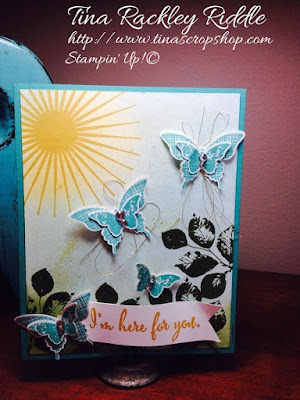 Last but not least for the front, I stamped the I'm here for you sentiment from the new "You've Got This" stamp set and banner cut the right side and adhered under the butterfly on the bottom. 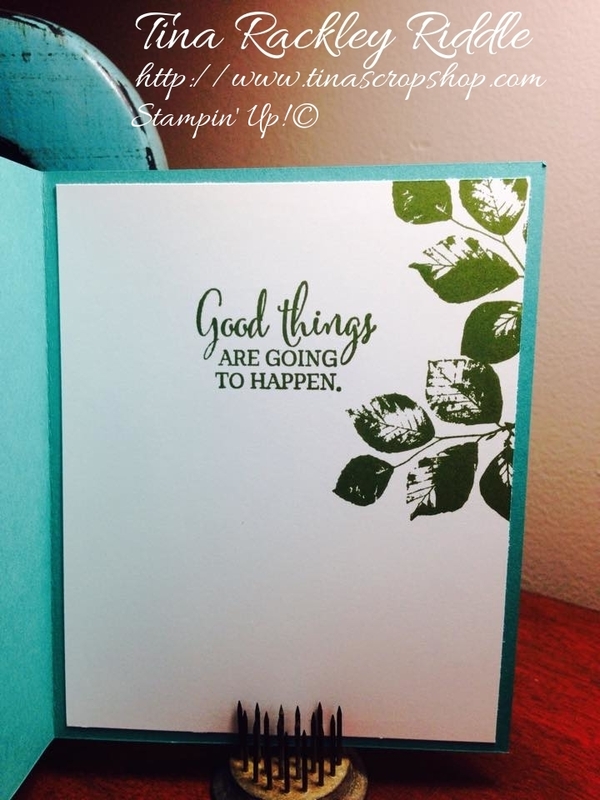 For the inside of my card, I stamped two more of the leaves on the right side and added another sentiment from the "You've Got This" stamp set! I really love the sentiments in that set. They are some of my current favorites! I hope you've enjoyed my card. 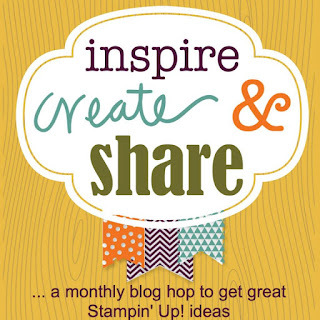 Please continue hopping along by clicking the next button to visit the Stampin with Darla and Sisters Blog! I'm sure both sisters Darla Roberts and Nancy Kee will have some awesome cards to share with you! Tina, this is very pretty! Wow...stunning and lots of detail....nicely done! Thanks for hopping with us this month...appreciate you so much. Very nice and you even did the inside too! Tina, your design is fabulous! What a beautiful card, I love your colors and design. One of my favorite sets! Great card! the sentiment fits the card perfectly - love it! Very pretty! I love how the butterflies are layered! Adds just that extra pop!!! Love your card and everything about it! The colors are great!